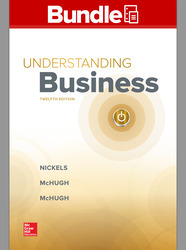 Bill Nickels is professor emeritus of business at the University of Maryland, College Park. He has over 35 years’ experience teaching graduate and undergraduate business courses, including introductory courses in business, marketing, and promotion. He has won the Outstanding Teacher on Campus Award four times and was nominated for the award many other times. He received his MBA degree from Western Reserve University and his PhD from The Ohio State University. He has written a marketing communications text and two marketing principles texts in addition to many articles in business publications. He has taught many seminars to business people on subjects such as power communications, marketing, non-business marketing, and stress and life management.